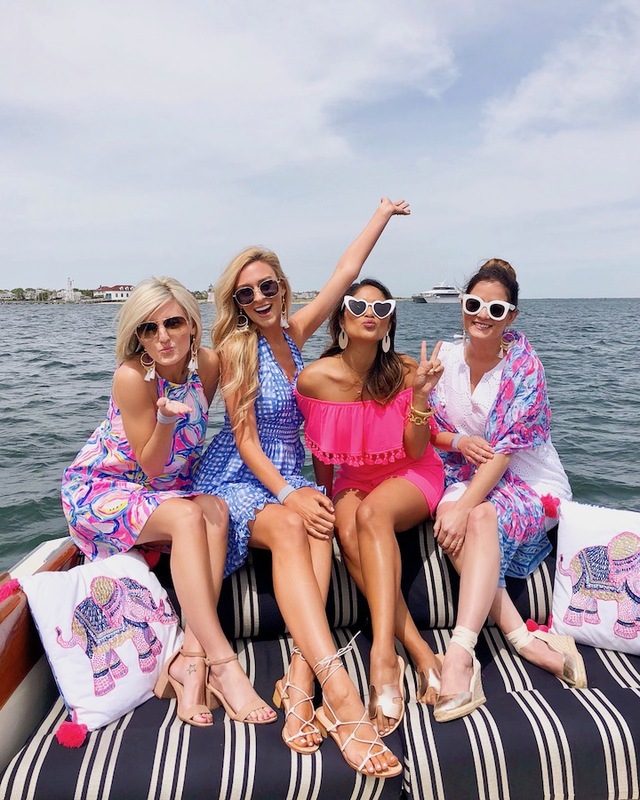 Hey everyone, today I’m finally sharing my Nantucket travel review from recent stay at the White Elephant Hotel with Lilly Pulitzer and some fellow bloggers. 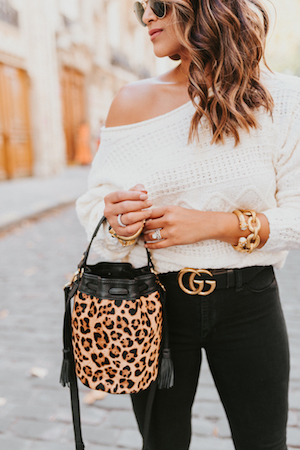 We stayed at the gorgeous White Elephant hotel on Easton Street overlooking the bay and I must say it is one of the chicest hotels I’ve ever visited. 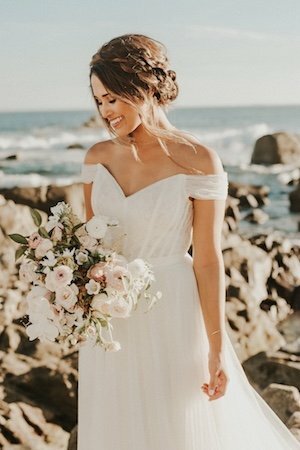 Everything was so beautiful on the property that it almost didn’t even seem real. It was my first time visiting Nantucket, but believe me when I say that it will not be my last! 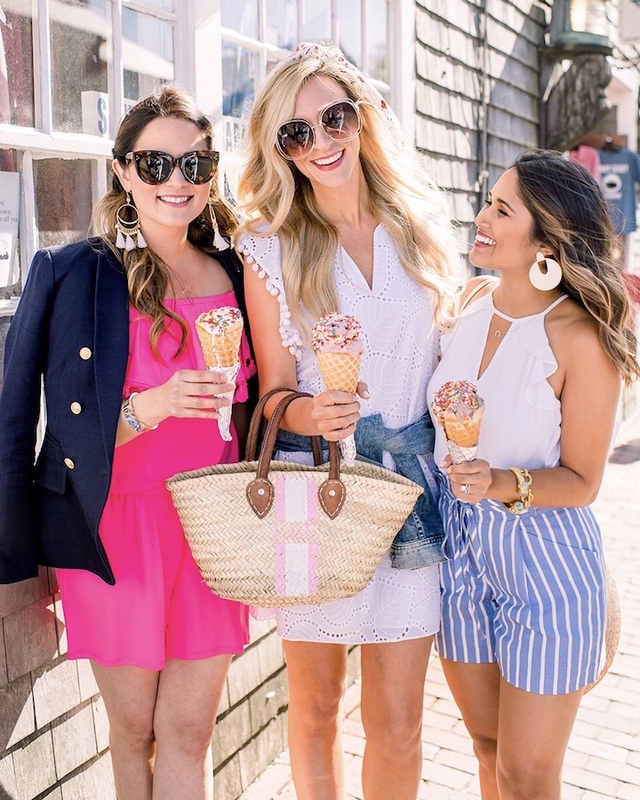 Scroll through this post for my top Nantucket recommendations and to see photos from our trip as well as our Lily Pulitzer outfit details. 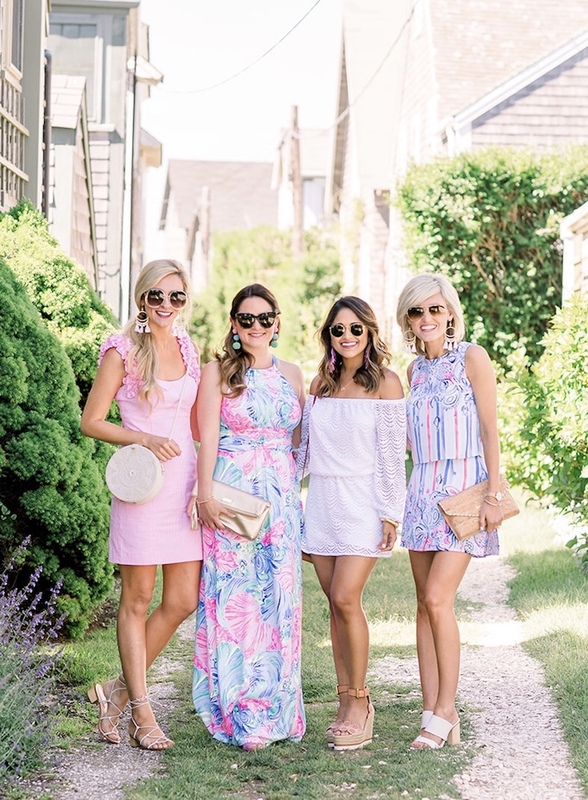 Wearing the Melody Maxi Dress and St. Bart’s Cork Clutch by Lilly Pulitzer. TOPPER’S – Breakfast, lunch and dinner. 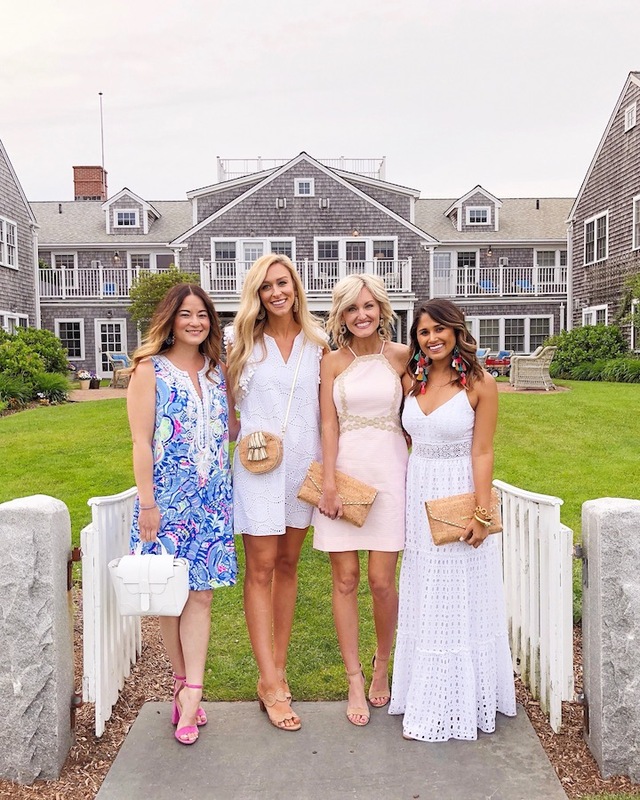 One of the nation’s most acclaimed restaurants and a favorite foodie destination set alongside the waters of Nantucket Bay | We ate at Toppers on the last night of our stay and we the most beautiful sunset view while we enjoyed the most delicious dishes. Brant Point Grill – Breakfast, Lunch and Dinner harbor side dining | We ate here every morning for breakfast as well as couple of other meals. Great service, food and views! Be sure to order the lobster and and fish tacos! 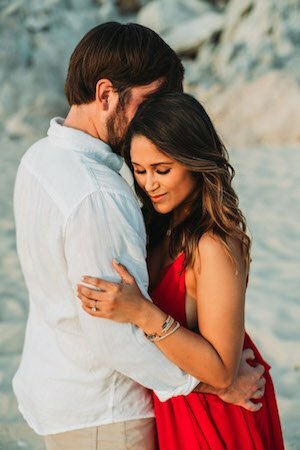 Galley Beach – located near town, beautiful sunsets, chic spot for cocktails with fire pits and a beautiful lounge area | If you love the feeling of your toes in the sand while enjoying a cocktail or glass of wine while watching the sun go down before dinner, this is the post for you! Plus it was absolutely delicious from the appetizers and salad to the entrees and dessert! Something Natural | This was among my favorite lunch spots in Nantucket because I live for tasty sandwiches on homemade bread served with chips and freshly baked cookies! 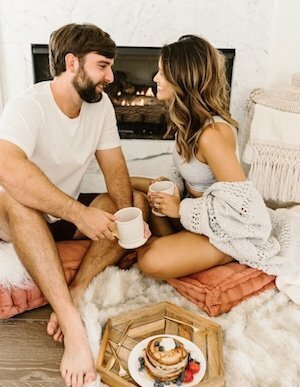 That is like my ideal lunch. Plus you get to eat on picnic tables outside! The Juice Bar | I would go to the Juice Bar every day if I could for their homemade waffles cones and unique ice cream flavors. Take a boat ride! We went on a boat ride on our very first day because it was the best way to see the entire island. 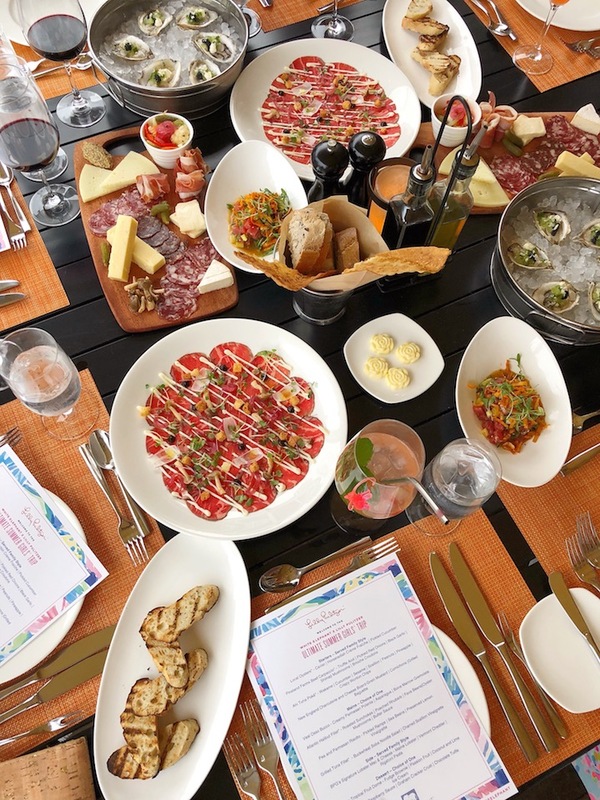 We had so much fun listing to music while enjoying snacks, drinks and….yep, you guessed it, LOBSTER ROLLS! Grab a bike and go cruise around town! We loved riding around town and looking at all of the beautiful homes and even made a stop at Steps Beach, which was absolutely gorgeous. Oh and you know we stopped for lunch, which was my favorite part! We stopped at Something Natural for sanwhiches and cookies and outside on picnic tables. It was so perfect that it was like a day out of storybook. 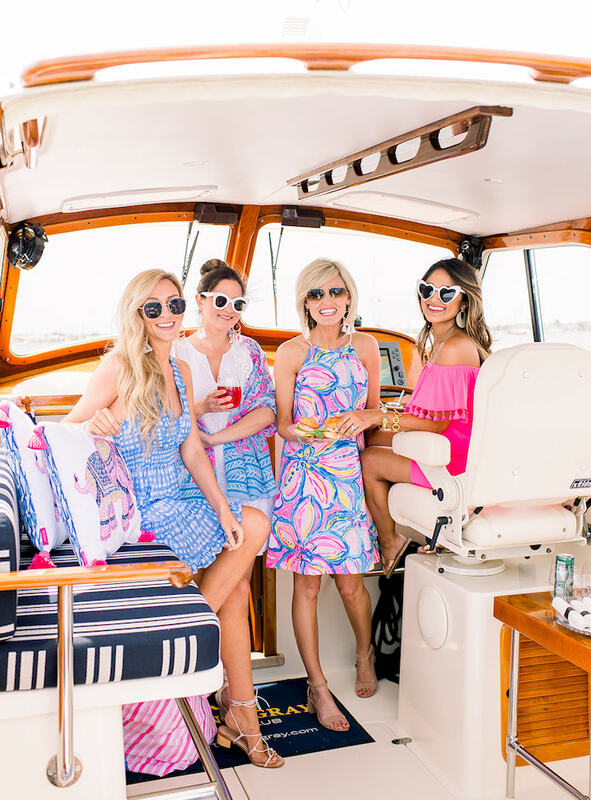 Lilly Pulitzer | We wore Lilly Pulitzer the whole trip and got so many compliments on our colorful outfits. 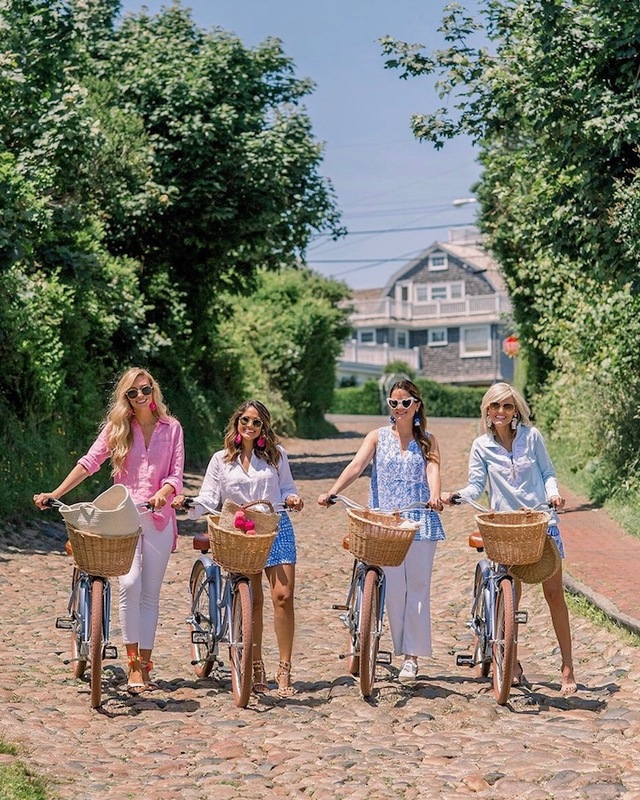 o Starting June 24 guests of any hotel on Nantucket can take The Wauwinet Lady to The Wauwinet for lunch, dinner or brunch. The 45 minute boat ride to the hotel is free when dining at TOPPER’S at The Wauwinet. Pretty amazing experience because every other harbor cruise around town is at least $40 per person. o Family Amenities: Cribs, Strollers, Radio Flyer Wagons, Bottle Warmers, beach chairs/coolers/towels/beach chairs, pool toys, Elephant shaped chairs and more are all complimentary for families to enjoy at the White Elephant Village and White Elephant. We do not charge resort fees at any of our hotels and all of these family amenities are included in the rate. o White Elephant, Wauwinet, White Elephant Village all offer morning coffee and pastries, afternoon port and cheese, complimentary bicycles and more for zero resort fees. White Elephant and White Elephant Village have a gym, and the White Elephant Village has pool access all included in the rate. 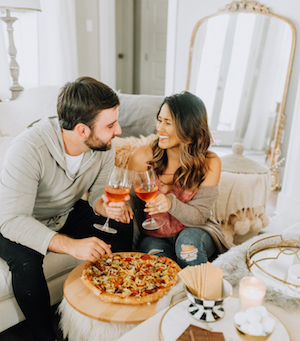 o Guests who book the White Elephant Village 3 Bedroom Residences or the White Elephant Downtown Luxury Lofts (we have 2) enjoy exclusive access to a BMW during their stay. No additional fees. o The Barton & Gray Hinckley is a luxurious way to enjoy a cruise on the harbor. 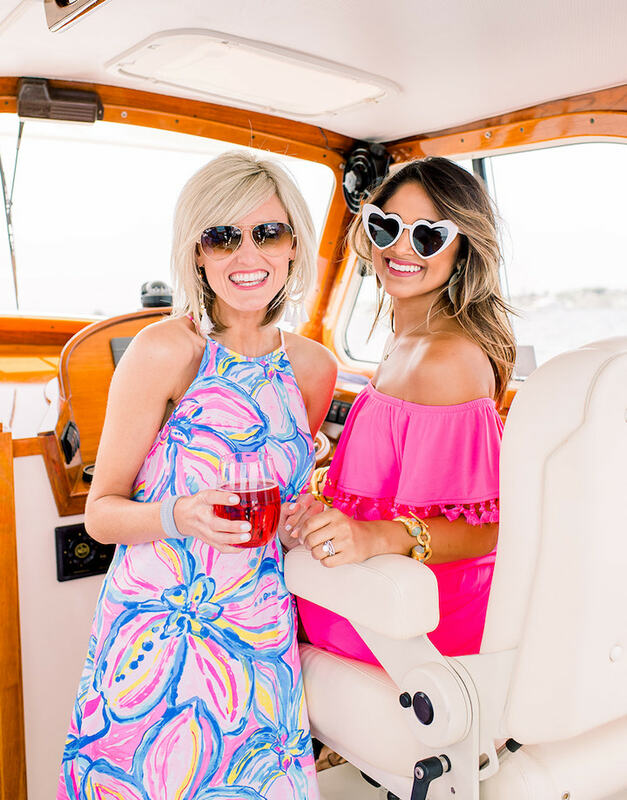 Guests can arrange for a picnic from Brant Point Grill to take on the boat. 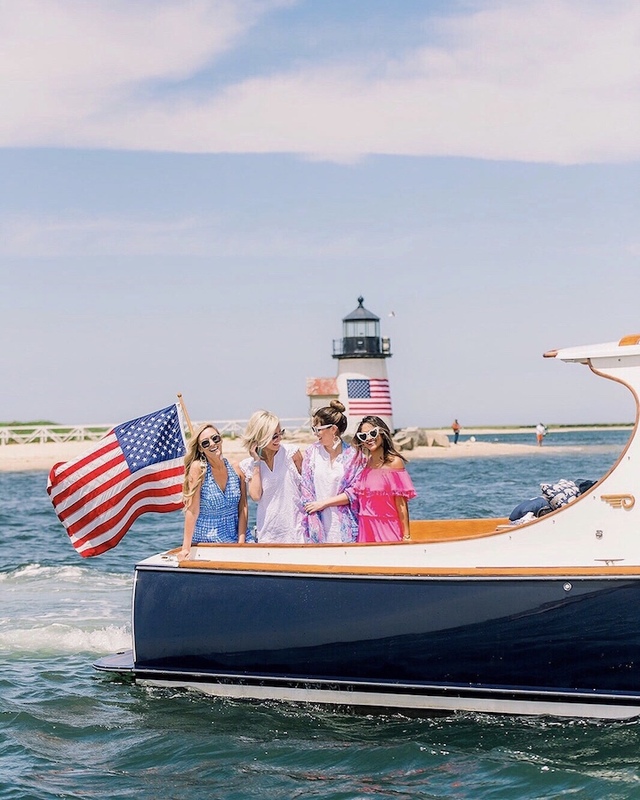 Through the White Elephant’s partnership with the mariner club, guests of all Nantucket Island Resorts’ hotels can go out on these boats.